BritishV8 Forum: Every Hot Rod Needs Some Louvers! Every Hot Rod Needs Some Louvers! 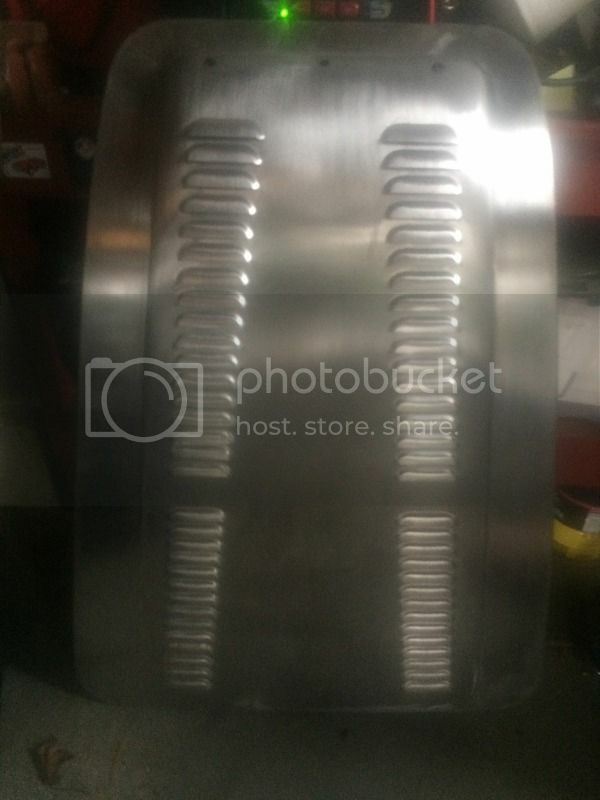 Re: Every Hot Rod Needs Some Louvers! Should help in letting a lot of hot air out of the engine compartment. Did it cost a small fortune? He did a real good job of it. It must be a challenge to punch those louvers without distorting the hood being that the hood is a compound curve. Yep, he really knows his stuff. On most of the louvered hoods I have seen on 3000s, the louvers are usually just punched on the flat part of the hood. It didn't look right to me and I wanted to extend the louvers as far as possible along the hood scoop line. He did a great job carrying out my ideas.